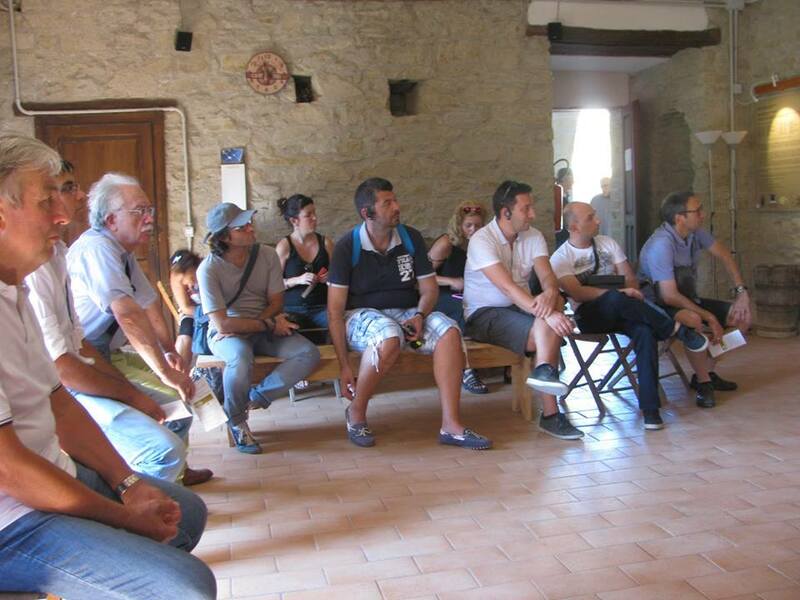 The seventh and last APPEACE meeting was organized in Montegridolfo on the occasion of the local event called “THE LIBERATED MONTEGRIDOLFO”, a territorial performance reminiscent of the breakthrough of the gothic line. 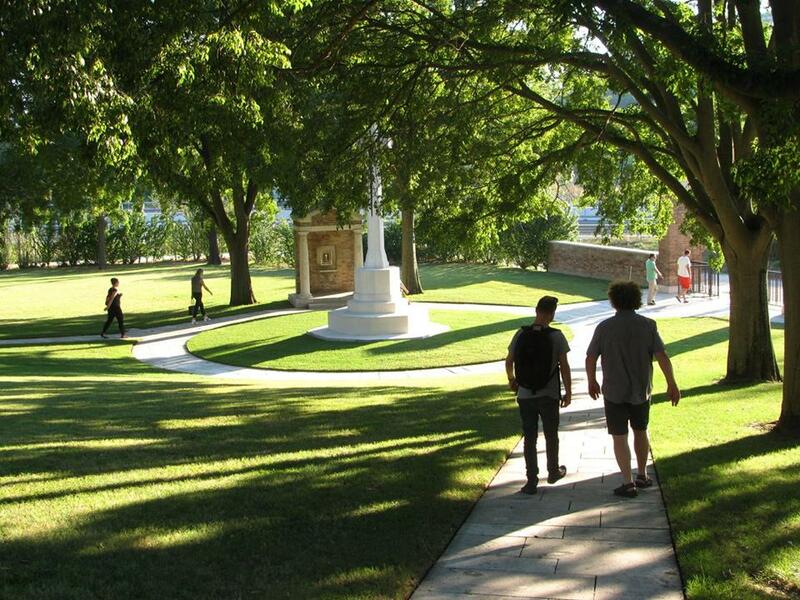 The event lasting 15 days commemorated the important historical moment through a series of thematic activities. Among the others, the programme proposed visits to the German defences (bunker stations, etc. 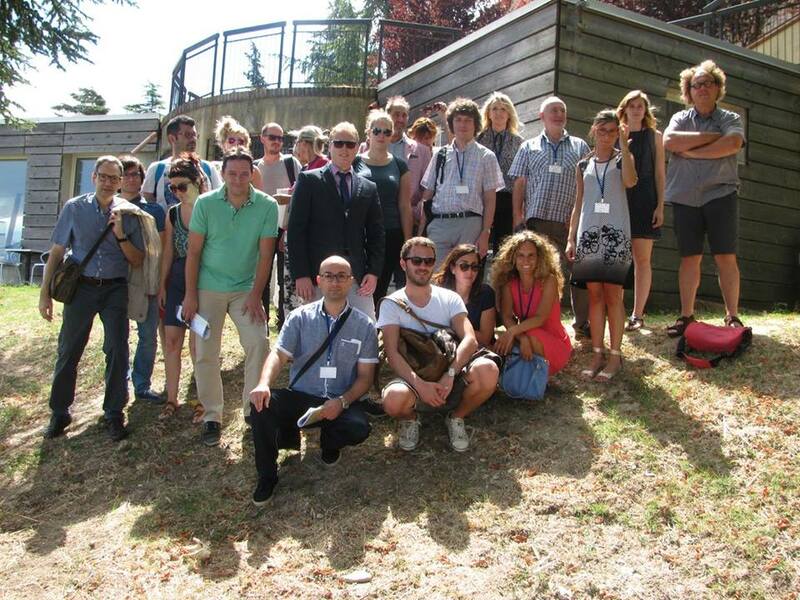 ), the “Kommandantur” and the English camp, showing of the film “From the Metauro to the Foglia River” from “A. Gaffarelli ” archive and the opening of “A. Gaffarelli” archive with a brief presentation by A. Agnoletti and D. Diotallevi. The event gave space also to commemorative performances, in particular the Commemoration of the battle of Montegridolfo with the heroic act of Lieutenant “Norton” performed by the “The Green Liners” and the commemoration of the last armed confrontation in front of the village between “English” and last-resistant “German” to be conclude with the “English” come into the square with the wounded Ten. Norton leading the “German” prisoners. 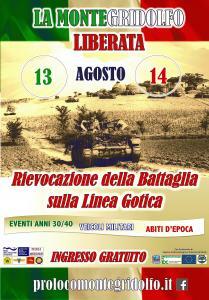 The second day (Friday 26th), the event continued in Gemmano with a visit to the exhibition “The Battle of Gemmano”. 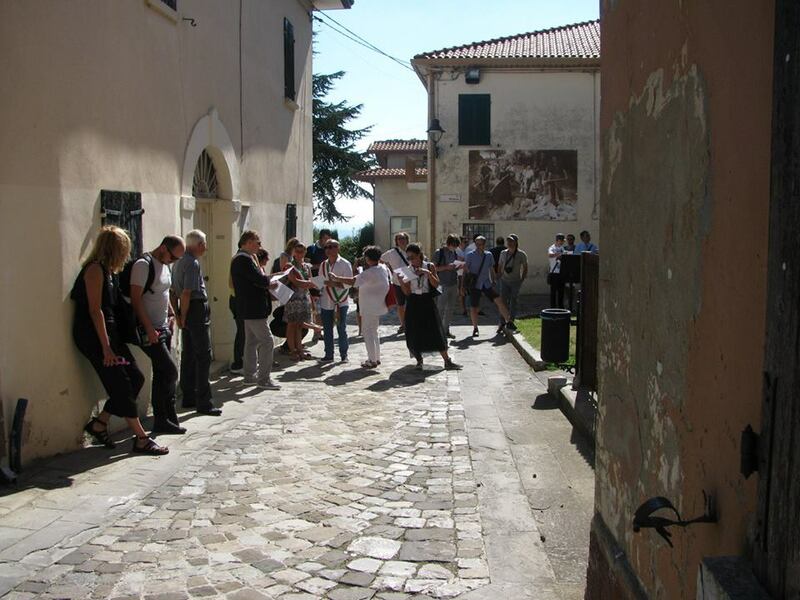 In the afternoon, the delegation firstly visited the village of Casteldelci accompanied by the Mayor Luigi Cappella, then a guided tour of the massacre site of Fragheto. 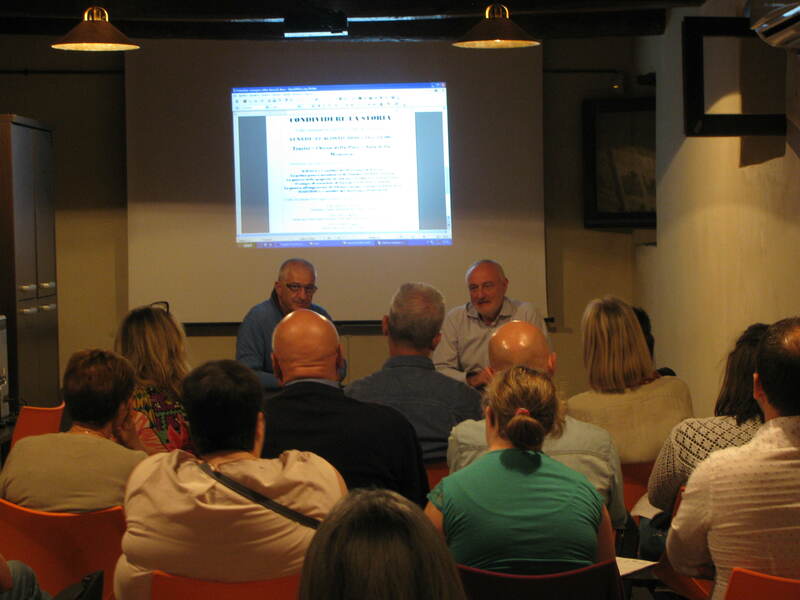 The third and last day of the event (Saturday 27th) ended with thematic speeches by Daniele Diotallevi, Alessandro Agnoletti, Terzo Maffei before the Screening of the films: “The Liberated Montegridolfo ” and “APPEACE: War Places- Peace Citizens” (Production I Fanti).